Horse riding on the beach is often associated with slow motion film scenes, moody music and perhaps even a throwback to the Black Beauty TV series. Here in Cornwall, it’s fairly common! 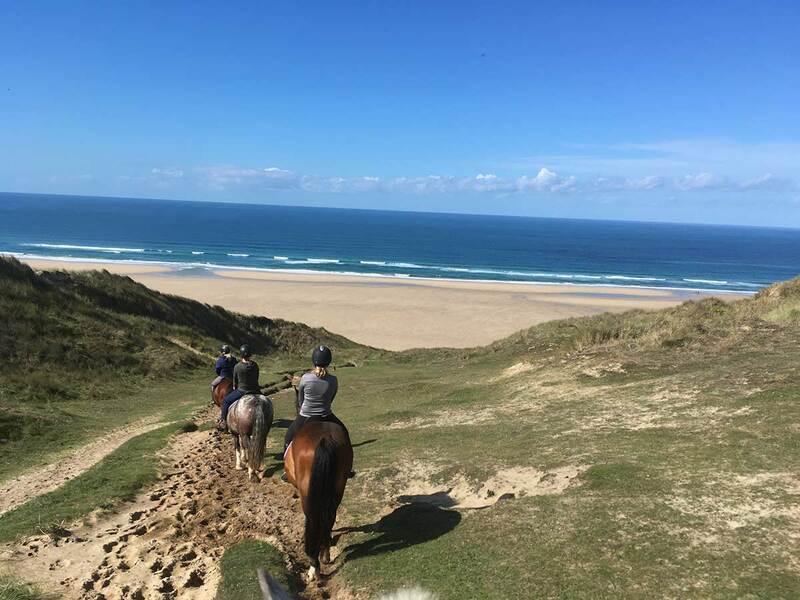 The horse riding on Perranporth beach is particularly well renowned both as an enjoyable activity and as an activity provider. I don’t ride regularly but I have ridden previously. I hadn’t ever ridden a horse on the beach before though and that’s what drew me to this activity for my next day off exploring Cornwall. Reen Manor Riding Stables is based on Cornwall’s north coast close to Perranporth. Many of its ride take in the 3 mile long sandy beach there and you’ll soon appreciate the appeal! I chose the 2 hour beach ride and was paired with the beautiful Dublin who was 17’2 hands high (177.8 CM). 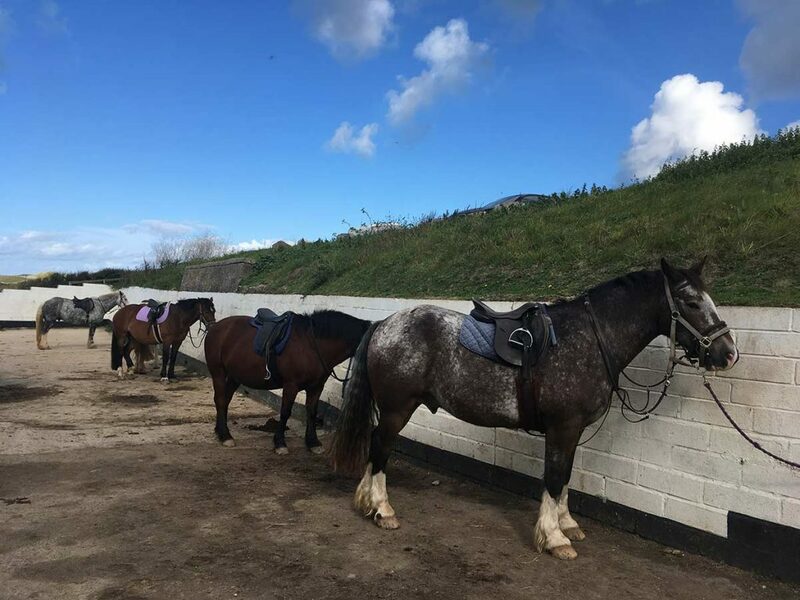 They currently have 28 horses of different sizes and temperaments to suit a whole range of riders from kids to beginners and the more advanced. I had no idea it was going to be quite as spectacular as it was on the beach. We left the stables and crossed a main road to reach the bridle path that took us to the dunes. Up and over the dunes it was fairly steep at times, particularly on the descent to the beach, but the tide was quite a way out and 3 miles of pure sand stretched out ahead of it. Bliss! •This day out is for anyone that wants to ride at whatever level as you are broken up into groups. •Be prepared for the muscle aches after the ride! •Wear jeans or jodhpurs if you have them - something hard wearing that you don’t getting dirty. •I wore walking boots and my friend wore wellies, it was a lovely sunny dry day so it wasn’t muddy in the stables but if it was wet you would be better in wellies. •Make sure you read the rules in the yard before riding, it gives you tips and do and don’ts. •After our ride we went to the Watering Hole on Perranporth beach for lunch. •Get there 30 minutes before to get matched to a horse and choose a hat. •You need to fill out a form before you can ride - you can do it there or you can print it from their website beforehand and bring it with you. About the author: Hailee is one of our customer experience advisor's.